Chandigarh, Feb 12 (IANS) In what could spell more trouble for the Shiromani Akali Dal, Punjab Governor V.P. 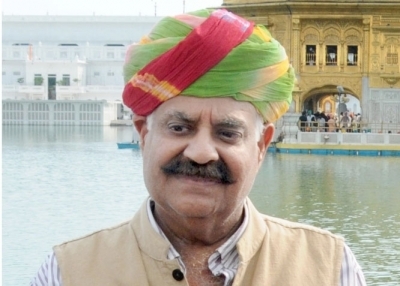 Singh Badnore on Tuesday declared the government's "commitment to pursue and take to their logical conclusion" investigations into the sacrilege cases and the false cases registered during the previous regime. "The government is committed to pursuing the recommendations of the commission, headed by Justice Ranjit Singh, which probed cases of sacrilege in 2015-16, and these will be taken to their logical conclusion, allowing the law to take its full course," the Governor said in his address to the budget session of the Punjab Assembly here. While claiming that the Amarinder Singh government is maintaining its policy of zero political vendetta or intolerance against anyone, irrespective of political affiliations or ideologies, the Governor asserted that action against those who registered false cases during the previous regime was on as per the recommendations of the Justice Mehtab Singh Gill-headed probe panel. "The government believed in fair and equitable treatment to all and has ensured that no false cases were registered against anyone," he said. The government had set up an SIT, as recommended by the House, which is expected to complete its task soon, the governor said. Citing the success of the Punjab government in neutralising groups of gangsters in the state, Badnore said 1,414 gangsters/members of various criminal groups had been arrested or neutralised. It included 10 category-A gangsters, he added. The Governor said 19 terrorist modules had been busted and 101 terrorists and 22 foreign handlers arrested. The Nirankari Bhawan attack accused were also being brought to book, he added.